Before you buy anything, you always want to know how much anything costs. You don’t want any surprises. Here we take a look at how much you can expect to pay for a brand new boiler. 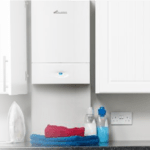 There are many brands offering new boilers all with a huge range of choice to suit every home. These prices are guides and subject to survey. 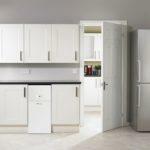 Get the lowest boiler price for your budget by comparing boiler quotes with us. £2250 For a combi to combi swap with our A-Rated Viessmann boiler (10 year warranty) – Our best seller! £2550 For a boiler conversion from system to combi with our A-Rated Viessmann boiler (10 year warranty). This is just a handful of examples from the huge range that we compare quotes for. All of our boilers are available to purchase outright, or with a finance package. The prices below are the same for cash and finance options – the only difference is the additional 7.9% APR on all finance packages, whether over 2, 3, 5, or 10 years. Bigger homes will need a more powerful boiler (the higher the KW the more powerful the boiler is). This is due to having more rooms to heat. More rooms will mean more radiators so your new boiler will need to be powerful enough to circulate the hot water around every radiator at the same temperature. Another factor that can affect new boiler prices are where they are being installed. If it is being installed where your old boiler currently is then that will be less work to install so this will cost less. If you are wanting your new boiler to be relocated to somewhere else in you house then expect to pay more. When taking into consideration new boiler prices, the cheapest isn’t always the best way to go. There are many boiler companies out there but buying the right one can make the difference. This is even more apparent when choosing boilers on finance. 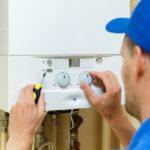 A lot of boiler companies nowadays offer great new boiler finance deals. These companies let you spread the cost of your new boiler by paying monthly. This can sometimes mean your boiler can cost a little more due to low interest rates, but it also means you can buy a better boiler. 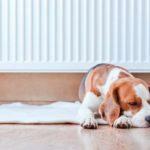 Other boilers and central heating services are available upon request. Get in touch to book your free survey and find out how we can help you!